We all love Italian food, hell it’s one of the most popular foods around. Italian food doesn’t merely consist of pizza and pasta, there is far more of a variety in Italian cooking than some restaurants would have you believe with the limited selections they have on offer. Don’t get me wrong I love pizza and I love pasta and have written recipes such as my Fig, Mozzarella, Balsamic onion, Parma ham and Rocket Pizza and my Lobster and King Prawn Pasta and of course enjoyed many meals out consisting of these types of foods but many restaurants seem to offer the same thing. There are so many gorgeous meals that you can try and where better than at a good quality Italian restaurant located in Mayfair. The QP LDN restaurant nestled in the heart of London offers patrons a taste of the Amalfi coast without them needing to leave the country. Perfect for foodies such as myself this restaurant offers diners a choice of menus including their A La Carte, Express Lunch and Early Evening menus. The lunch and evening menus change regularly making it one of those places you will want to visit often to sample the various delights they have to offer. On arrival we were greeted warmly and shown to our table. 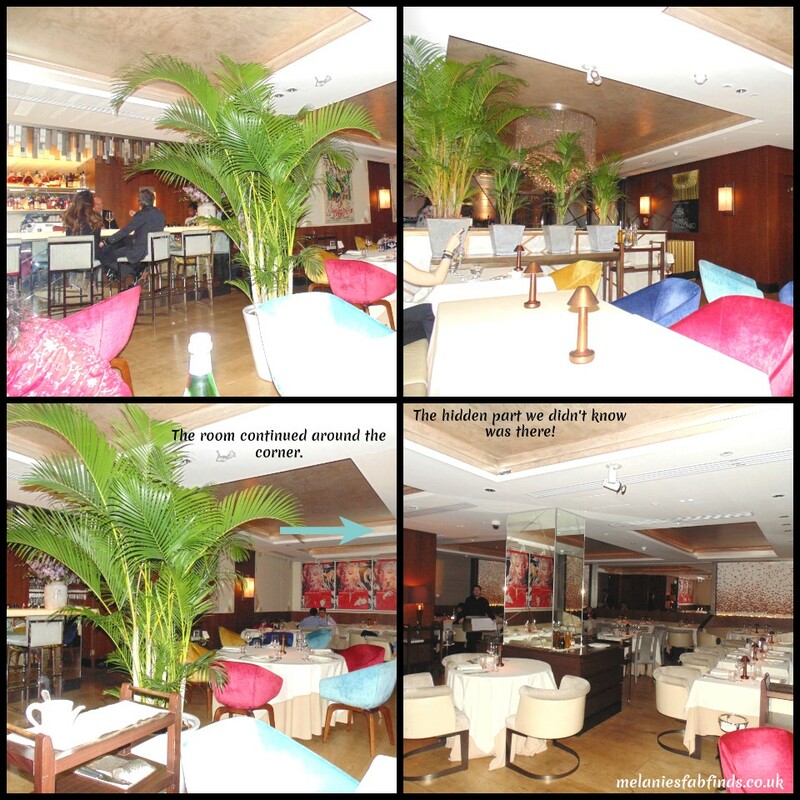 The seating is very comfy and there is also a bar area with seating where food can also be ordered from the bar menu. The atmosphere was relaxed and the decor sophisticated. I loved the addition of the palms and the dimmed lights added to the atmosphere. The restaurant is far larger than I initially thought when I first arrived. It was only once I had finished my meal that I decided to have a little nosey around and I discovered a whole second section to the room I was in. There is even a bar downstairs which is very popular on certain evenings and looks great. I hope to visit it sometime with friends. I was booked in for the QP X Early Evening Meal by their lovely PR lady. At £32 per person this is a bargain for what you get as it won’t leave you hungry. Just like other Mediterranean’s, Italians are not only very hospitable they also enjoy their food and believe that guests should not leave until they are full. Anyone who has been to mine for a meal will know this is very true. Below is the menu we chose from on the evening of our visit which was prepared by Michelin starred chef Antonio Mellino. He has 2 Michelin stars to be precise and is famed for his freshly made pasta. He uses finest seasonal ingredients in his meals which are shipped daily from Italy. Mark was our server for the evening and I must say he did a fabulous job. He was able to advise us as to which dishes were popular with others and also which he liked and would strongly recommend. Of course I observed him to see his interaction with others and he was very good. There was no favouritism towards anyone (meaning us as we were reviewing), all were spoken to in the same manner with the same professionalism, he did an exceptional job. I loved that he knew our glasses needed filling before we had even noticed and he would appear all of a sudden to make sure we were topped up. His level of service was equivalent to that that I had received during my afternoon tea at Harrods from the lovely Loretta. If I opened a restaurant I’d want both of them in it! The menu we were booked to enjoy included a glass of champagne on arrival but the staff there kindly let us swap this for a bottle of sparkling water. With our drink was served a selection of breads including wholemeal bread, foccacia, white bread with quinoa and potato, crisp Italian flat bread, grissini with polenta. Just to note this was not on the set menu but an extra. These were delicious and we were given a plate with fabulous quality olive oil and a blob of what must have been a balsamic vinegar reduction as it was nice and thick and packed full of flavour. Still on the olive oil I must say I have not been served one as good as this in a restaurant before and I know good oil as we have freshly olive oil sent to us from Cyprus. You can tell the good from the bad by the colour and the richness in flavour and if you do get to try this at QP LDN you will love it I assure you. 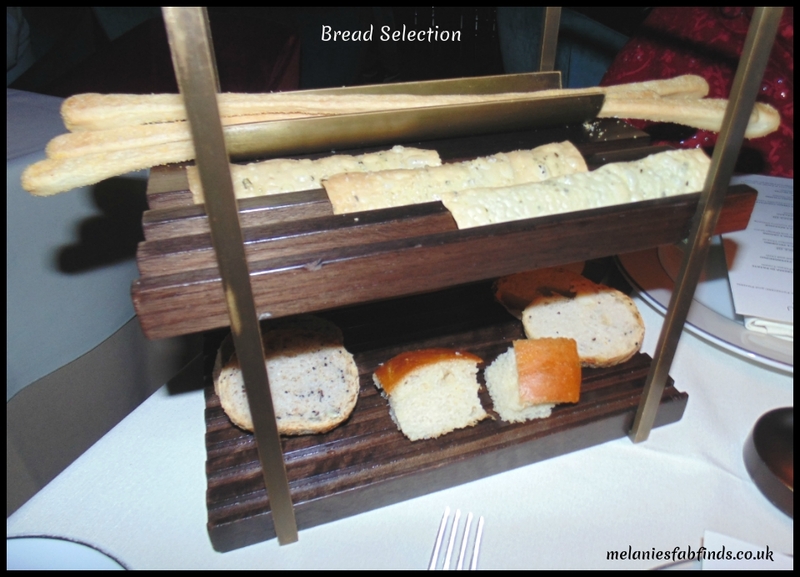 The breads were all lovely and we were pleased that there was a selection with a range of flavours and textures making it that quite exciting. My favourite was the crisp Italian flat bread with it’s moreish saltiness. Next up we are back to the menu. 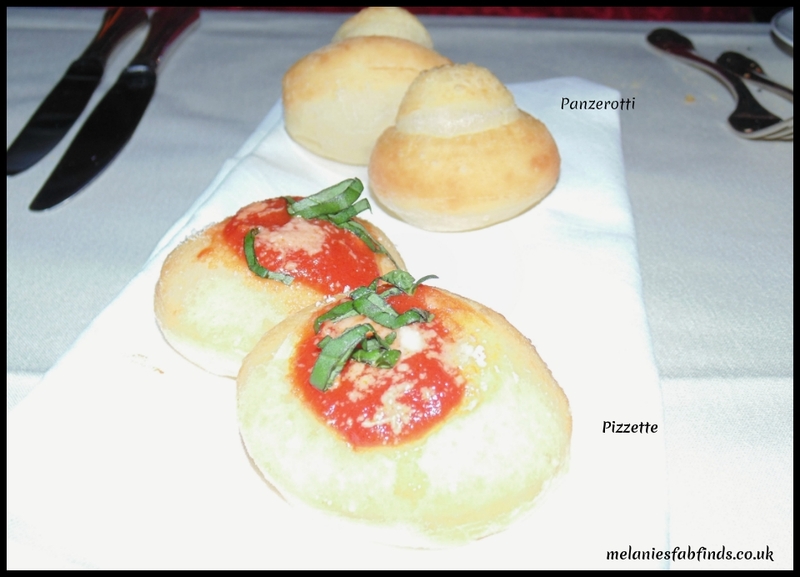 We were served a panzerotti (stuffed with ricotta) and pizzette (like a pizza) each. These were served warm and the moment I bit into each I was in heaven. The bread was gorgeous. It was soft and light with plenty of flavour of its own. 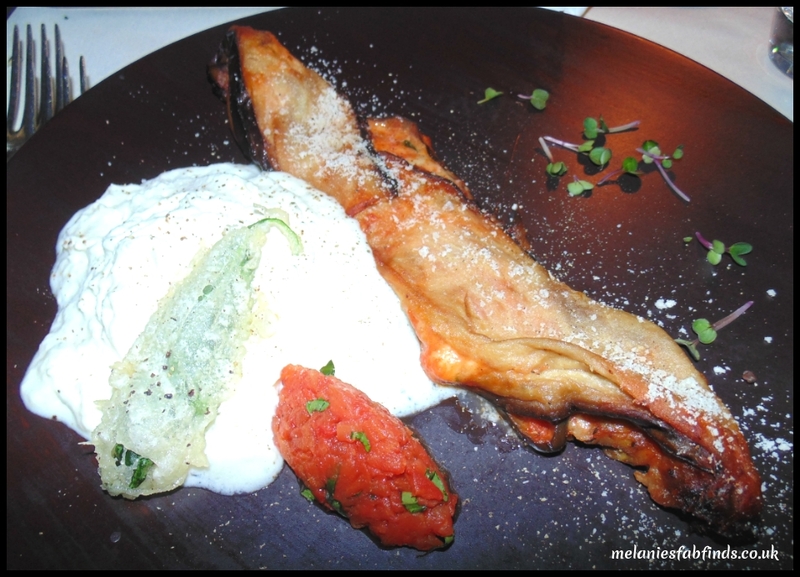 Within the panzerotti was a deliciously divine ricotta filling that was mouthwatering. It was extremely smooth and creamy and fabulous! The pizzette was also delicious and was topped with tomato, cheese and some fresh basil. Again perfection. What can I say these were fabulous examples of Italian cooking at it’s best and we hadn’t even gotten to the starters. These were beautifully presented with a variety of colours making them a feast for the eyes as well as our stomachs. 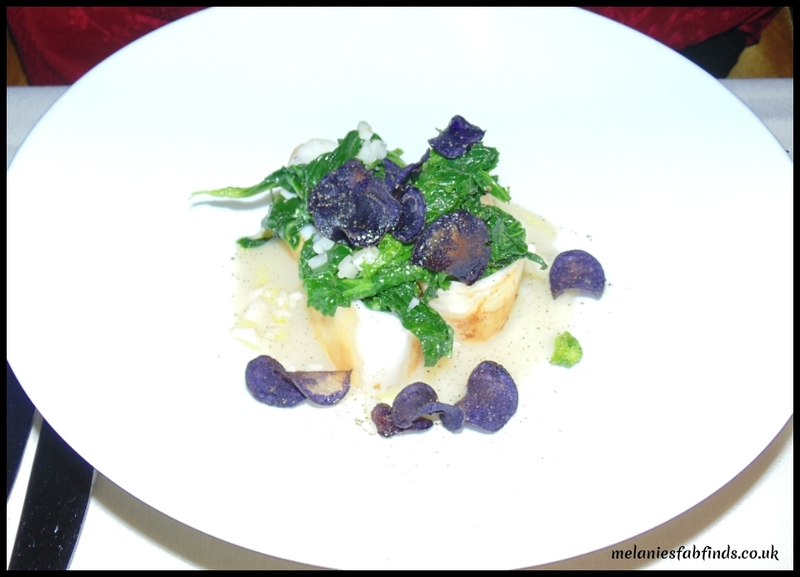 This sure was a winning dish packed full of flavour with tender squid, perfectly cooked greens and a great contrast in texture from the beetroot crisps. This was lovely and a dish you won’t want to share. The potato cream worked well with the dish adding moisture and additional flavour but at the same time but not overpowering the flavour of the other ingredients. A great interpretation of the dish this was not only rich in flavour but it wasn’t as oily as the dish baked version found in many restaurants. The light fluffy cheese sauce on the side was lovely and was almost like eating a flavourful cloud. The portion of this and the other starter was quite substantial and at this stage I was not sure if I would be able to finish the whole meal. Having enjoyed everything so far we looked forward to tucking into the main dishes. Wow, this was a big portion and I was relieved that it was my friends dish as I knew the second it arrived I would never have managed to eat the whole thing. The meat was tender, it literally melted in the mouth and was rich in flavour. 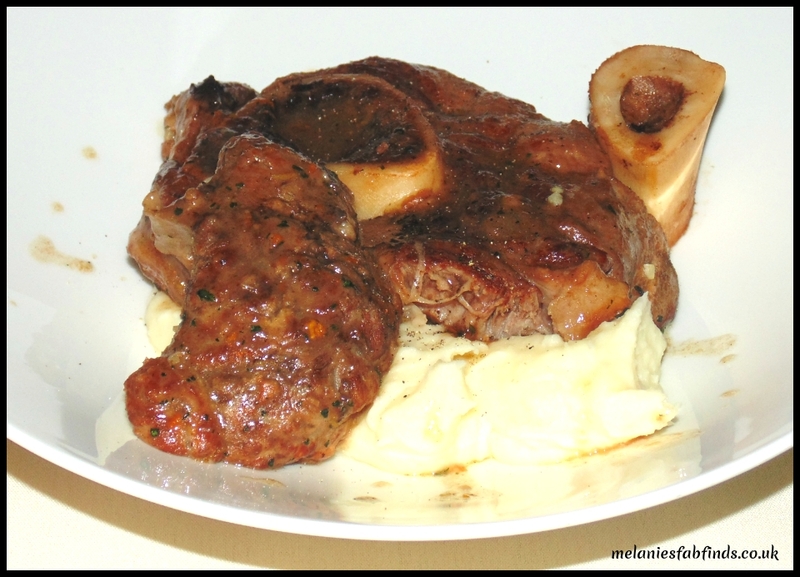 The meat fell of the bone instantly and combined with the sauce and mash made for a very tasty and hearty meal. Simple yet tasty I had to try this to see how good the pasta really was and to say I was impressed was an understatement. 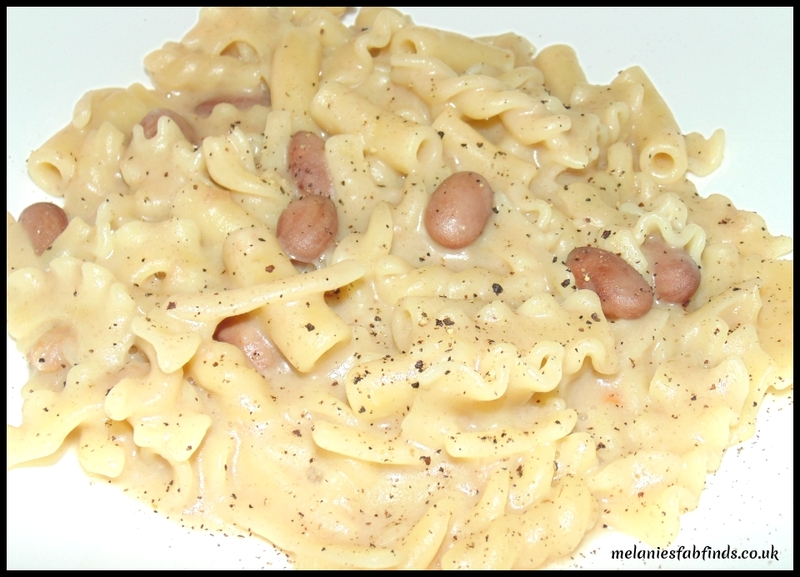 The dish combined a mix of perfectly formed pasta shapes which were Al dente (firm to the bite) with cheese and beans and had a fair amount of flavour. The sauce was nice and creamy as you can see from the photo and this dish was nice and tasty. With the meal we also had one side dish suggested by Mark – the fried zucchini and what can I say other than I was thankful he was there that day. These were delicious, crispy and nicely salted giving them that additional favour and making them rather moreish. By this stage we were pretty full. But of course we were not going to skip dessert it’s the best part of the meal as my friend and I both have a sweet tooth. Unable to decide what to have we were rescued by the lovely Mark who helped make the decision for us suggesting the Millefoglie and the pistachio ice cream. This was placed on a serving table next to ours prior to presentation. Anyone that likes pistachio ice cream will be in their element as this was truly magnificent. The ice cream is akin to some authentic Italian ice cream I tried in Las Vegas years ago and I can honestly say we hadn’t been as quiet all evening as we were at that moment. We wanted to fully savour the moment and enjoy the velvety soft and smooth ice cream as it gently melted in our mouths revealing small chunks of pistachio. 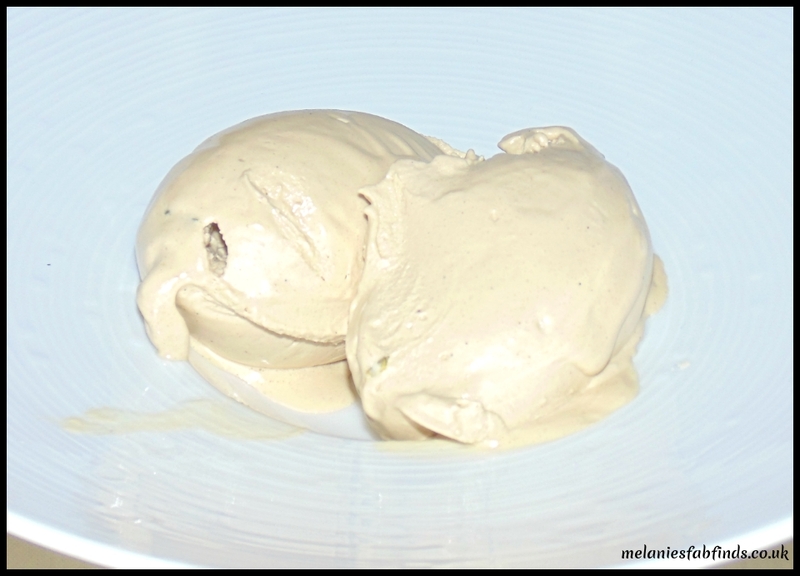 Note the colour of the ice cream indicating that this has been made with natural products and that colouring has not been added. Honestly if I can make pistachio ice cream as good as this I know my friends would be over everyday. I have yet to experiment with this having barely survived half term with all our tutors and out of school clubs. 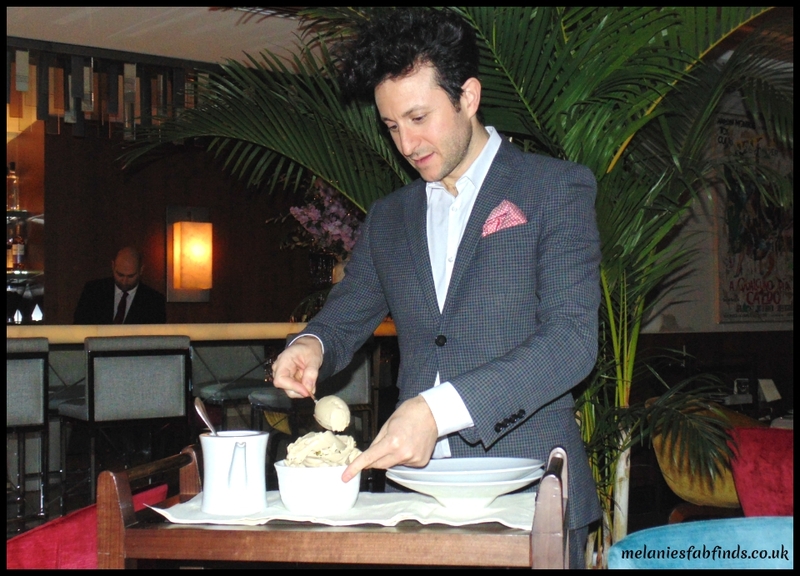 The ice cream was so good we were not sure whether the Millefoglie could measure up to this but sure enough it was just as fantastic a dessert. 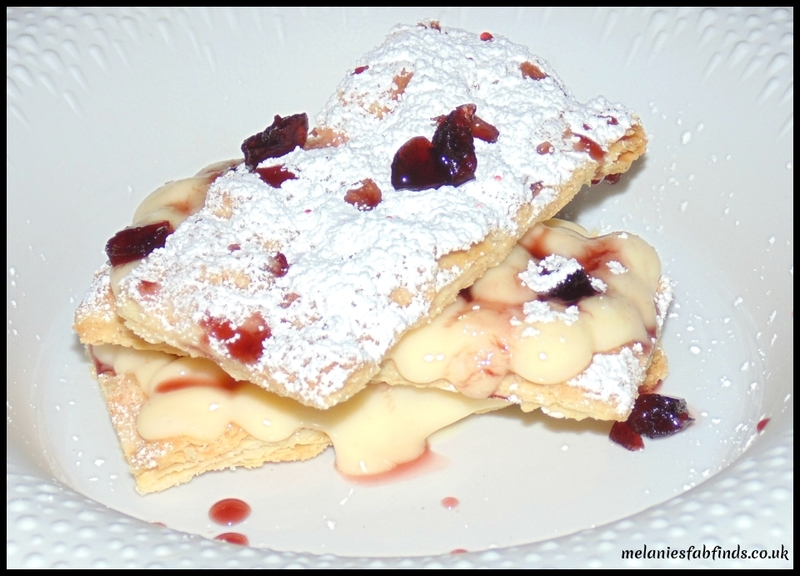 This is the Italian version of the French pastry Mille-feuille meaning 1000 leaves / layers. The pastry itself has a delicate flavour but is lovely and crispy. The Chantilly cream and cherry combination works perfectly and this should not be over looked as a dessert nor should it be left in the shadow of the ice cream. These are both desserts that I would highly recommend for their different textures and flavours which really do excited the taste buds and each is a heavenly dessert in its own right. 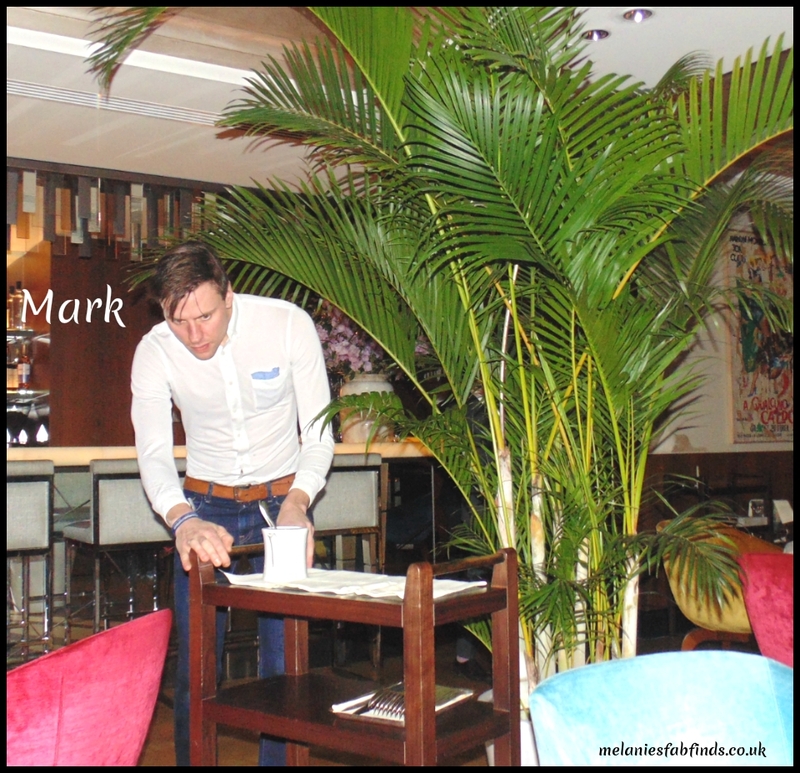 This really is a gem of a restaurant that serves gorgeous, great quality meals that are a cut above many others. I’m not saying that there is anything wrong with your local pizzeria but for those looking for something a bit more authentic in relation to Italian food this is the place to try. The quality of their dishes surpass most and the service is just as good. This really has to be one of the best Italian restaurants in London and I am looking forward to visiting and trying more of their delicious meals with friends soon. If you do go make sure you take a look at this work of art. 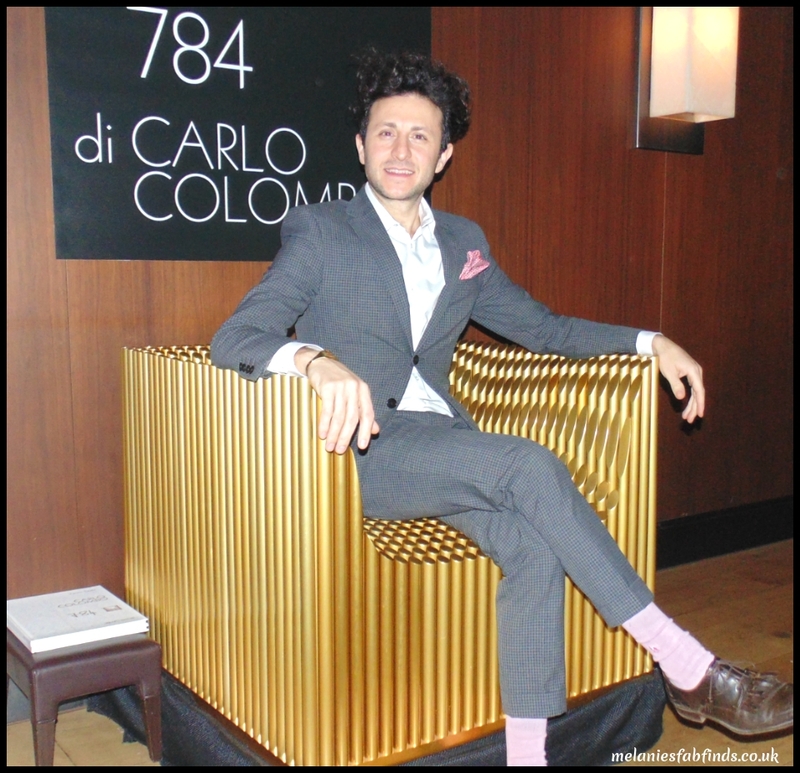 It’s a chair consisting of aluminium tubes dipped in gold and worth a staggering half a million pounds! The chap sitting on the chair was lovely and just like me is a hugger so of course I got a big hug on my way out. This is a great restaurant and they have got everything spot on. If I was to make any suggestions then I would maybe add another dish or two to the options available in the main dish selection on the menu we had but other than that these guys have it all covered. If you do pay them a visit make sure that you bring your appetite! Have you tried any Italian dishes other than pizza or pasta? This restaurant sounds like amazing value for money. It looks fab too. It was wonderful we really enjoyed our visit. This looks so good! I’m actually half Italian and my dad loves to cook, so I’ve had my fair share of authentic Italian dishes but I would still LOVE to try theirs. It is a great restaurant and their food is very good quality. I am hoping to go again but no idea when yet. It was fabulous and the breads were lovely. I would strongly recommend this restaurant. These were gorgeous and I loved that there was a range too. I am positively drooling over this lovely food, it all looks and sounds magnificent! The QP LDN sounds like an absolute gem of a restaurant. I would have a hard time choosing my favourites from your review, I want to try it all! The food is gorgeous and the new menu is out so more fab dishes to choose from. Their food is really nice Ana. You will really love it there. This place is more about the quality of the food which I love! The food at this restaurant looks amazing and it sounds like their staff is really friendly! They were very good there and we were pleased that the food portions were very good. I always love trying out new restaurants and also reviews. As a food blogger they’re the source of some of my best inspiration! The dessert looks amazing .. as does everything else! The desserts were fabulous. We really did enjoy everything we tried. This was hard to read simply because I’m now starving and dissatisfied!!! What a fab menu! The chantilly cream looks truly divine. It was an amazing dessert. You need to visit and try the food you will love it. Enjoy Rhian they food is lovely. You will love the food there it is very well made. Me too especially when it’s this good. That is incredible value for such wonderful looking food, definitely worth bookmarking. It really is great food and one you should try if you get a chance. That’s very true there are s many more gorgeous meals to try. It was lovely as was the decor and service. They have a lovely menu and it’s changed since i last visited so I want to go again soon. Sounds like a beautiful view and Such a good restaurant, I want to go there to see it in live. It is a lovely restaurant, very tastefully set up and the food is great. 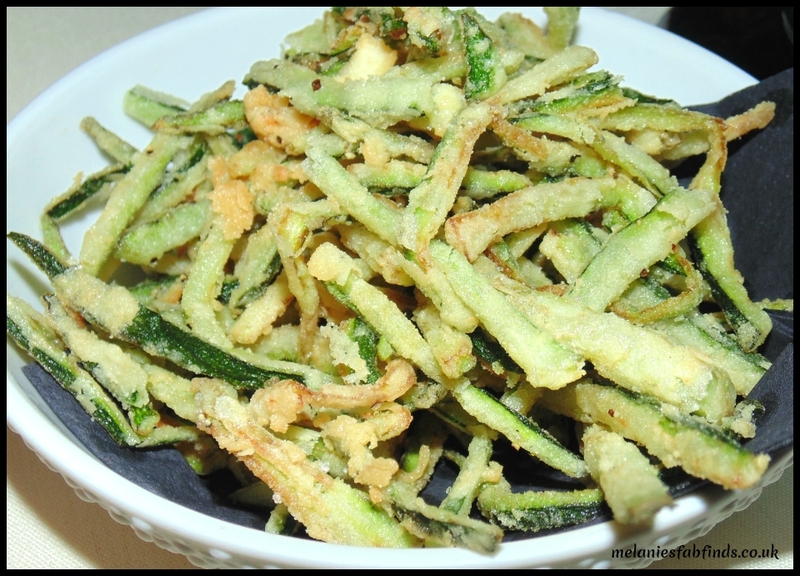 I have never the fried courgettes in a restaurant before although it was a staple at home while growing up. It has to be served as soon as cooked otherwise it goes soggy. These were lovely and crispy – perfectly cooked. It is very good for the food as everything is great there: the location, the appearance of the restaurant, staff and food. It was good and it has to be one of mt favourite restaurants in London! What a beautiful place. I love how all the bread is served. Although, that wouldn’t last long around me haha. It didn’t last long with us either! It was very nice. What a lovely place! Never had fried zucchini before but it actually looks really yummy! Think I might try make some myself! It is very yummy, I want to try making it too! The menu sounds interesting. A little bit on the heavy side for my taste buds, but seems good. No problem Tanya, you are going to love it there, enjoy. looks and sounds a great place to dine – bit too far from me though! It is lovely so if you ever find yourself nearby I would recommend you try it. Their menu really does sound delicious, great review. Thanks, I really enjoyed the food there. That’s a shame you are missing out on some great food. That’s a shame, the pricing is good and I am sure you would love the food it’s gorgeous. It really was a lovely touch and shows the attention they pay to detail. Great value for a top quality meal prepared by a Michelin starred chef. It sure is great value!!! The food is gorgeous and well presented. This is a restaurant I would strongly recommend to those that like great food. It was amazing. Their food tasted and looked great. It looks like a lovely place to go and eat. The menu and food look fab. I love Mediterranean food. Me too and this is a great example of good Mediterranean food. It’s the perfect location for a mums night out or evening with friends as it is well priced for the quality of food. My goodness that dessert was amazing!!!!! I haven’t heard of this place before but it sounds amazing, definitely worth a visit. The food there was lovely we really enjoyed it. Well worth a visit regularly as the menu changes. It’s a nice one to visit if you will be in the area. Make sure you check out the gold chair!